If an object or part of the body is detected while the sunroof is closing automatically, it will reverse direction, and then stop. 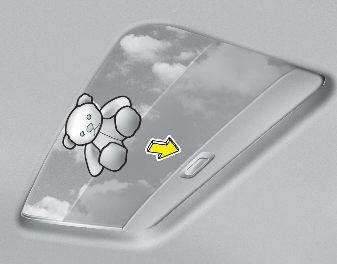 The auto reverse function does not work if a small obstacle is between the sliding glass and the sunroof sash. You should always check that all passengers and objects are away from the sunroof before closing it.